Eminem is gearing up to celebrate 15 years of Shady Records with his upcoming Shady XV compilation. 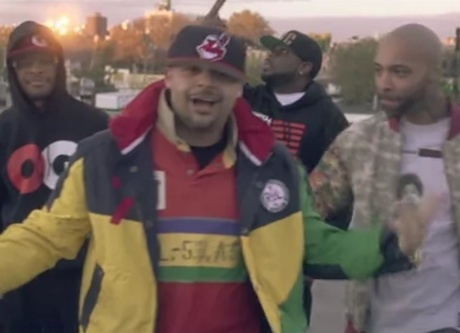 Of the many artists he's sharing the spotlight with is the rap supergroup Slaughterhouse. Today, Slaughterhouse tease the release with a new video for their DJ Premier-produced boom-bap cut "Y'all Ready Know." The smooth, soulful track is treated to a fairly straightforward video as Joell Ortiz, Joe Budden, Royce Da 5'9" and Crooked I mug for the camera. Watch the video for "Y'all Ready Know" below. Shady XV is due on November 24 via Shady/Interscope/Aftermath.